My eBook has knocked on Amazon's door. Have you been waiting to get the book for your Kindle? Your wait is finally over. 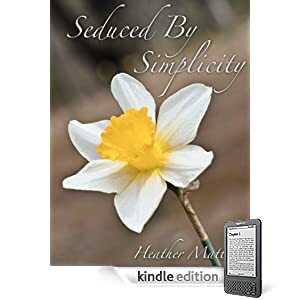 Seduced By Simplicity is on Amazon! I would love for those of you that have read the book to give it a review on Amazon for me so that others (not my blog readers) can know a little bit about it. Let me know if you leave a review so that I can personally thank you for it! Amazon! Yay you! Congrats hon! I'll leave a review in the next few days for you fab book!!! !